This house is located in Sagas (Berguedà). The Molí de Canellas date since before the eighteenth century. It is located at the foot of the stream of Biurer. 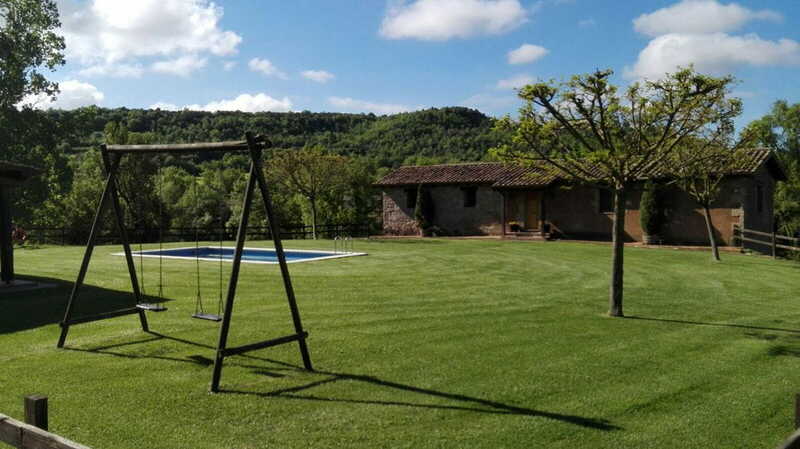 In 2000 it was renovated and equipped with all modern conveniences having a large garden with swimming pool, porch, barbecue ... to enjoy the rural setting Berguedà. The Molí de Canellas has five double rooms and one room with four single beds that share three bathrooms and a toilet. Rooms are equipped with high quality mattresses measures 1.50 x 2.00 m double beds and 0.90 x 2.00 m of the quadruple. They all find the sheets, duvets and towels individuals. Baths also find the hairdryer and amenities.